The following is a study performed by Avery Diercks, son of our General Manager Anna Forester, where he performed an inoculation study using Mycorrhizal fungi. Here's some information derived from his study. 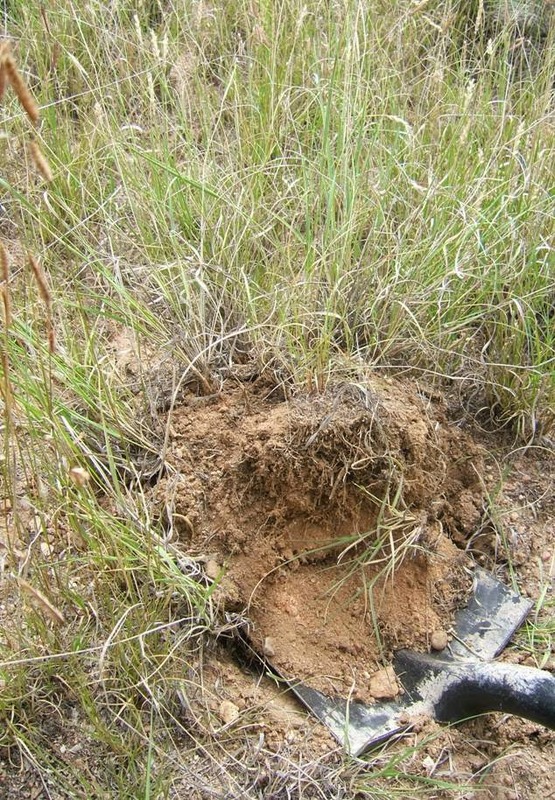 The first image below shows the site where native soil was collected near Santa Fe, New Mexico during a good monsoon season with abundant native grass production. The next two photos show seed germination, both samples had the soil sterilized to try and eliminate any indigenous mycorrhizal fungi present in the collected samples. 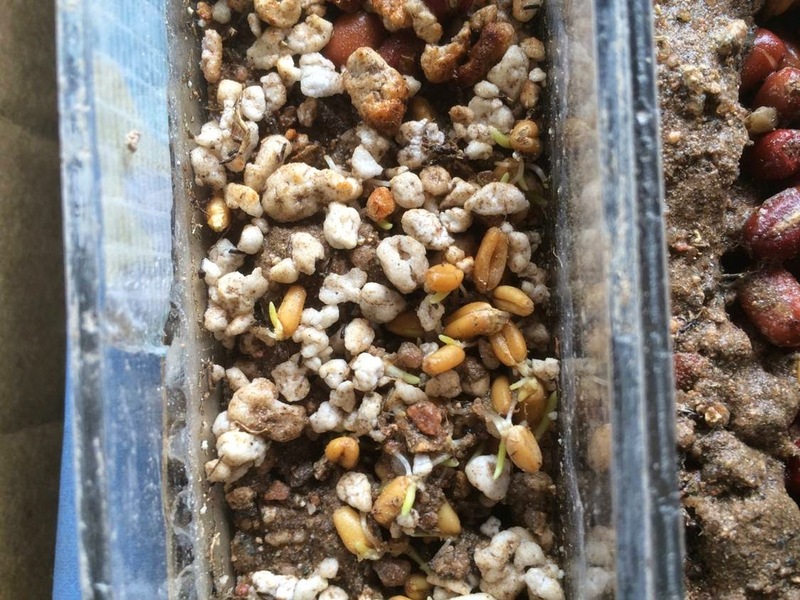 The photo below shows germination of seed that was inoculated with EndoMaxima prior to sowing in the sterilized soil. The next photo below shows germination of seed that was not inoculated with EndoMaxima prior to sowing in the sterilized soil. 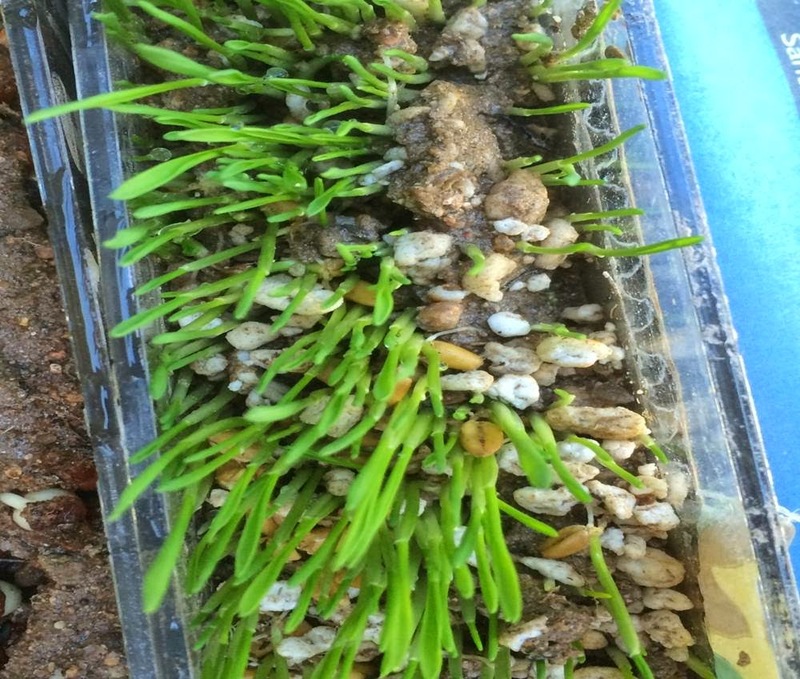 The two images show germination after 3 days, with the EndoMaxima inoculated seed showing a clear advantage in speed of germination over the seed not treated with mycorrhizal spores. The above results are shared with the permission of Avery Diercks. EndoMaxima, a product of Soil Secrets, contains over 3200 spores per gram of a Gomus (VAM) species, a generalist that can inoculate the majority of plants on Planet Earth. At 3200 spores per gram (1,450,000 per pound) EndoMaxima is the only mycorrhizal product on the market that can effectively work in agriculture because it offers enough spores per gram of product that it will get enough down per acre to work. Lower spore count products cannot achieve this benefit as too much product must be used per acre, which the seeding equipment cannot handle as it bulks out the seed and throws off the calibration. With extremely sensitive calibrated seeding equipment we are capable of increasing the spore count density to even higher levels! 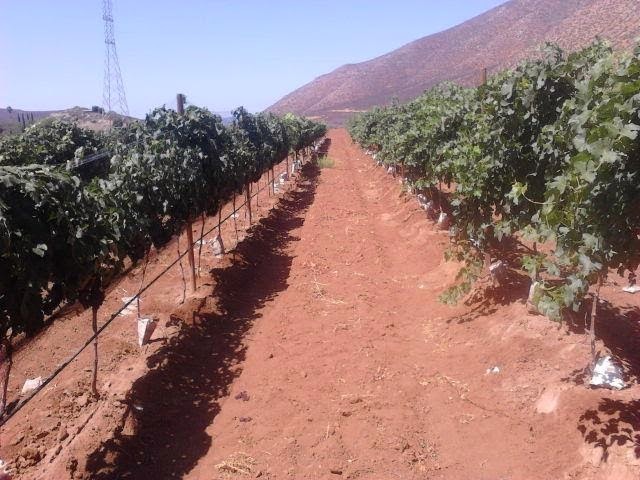 The attached video was taken in Baja, Mexico in a wine-growing region on October 6 of 2014. It shows, in the distance, on the left side of the road, a field of wine grapes treated with the TerraPro product of Soil Secrets. To the right of the treated field and across the road is a field not treated. The TerraPro treated field on the left in the photo below clearly shows a healthier greener color, compared to the untreated field to the right side of the road. 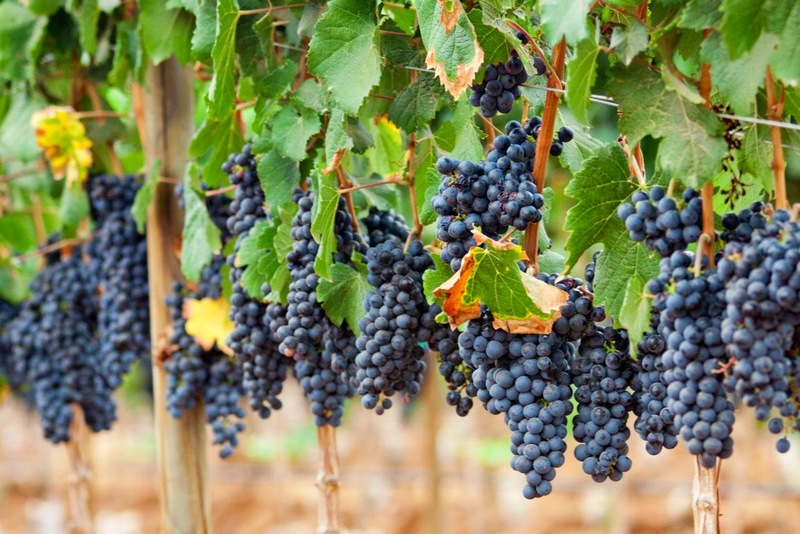 The grapes produced also reflected the same benefit of using TerraPro. The other mode of action that was seen on the treated field versus the untreated field was the penetration of the irrigation water being applied by drip. The water was more easily penetrating into the soil creating a larger wet spot versus the untreated field where the water was puddling on the surface and not so easily percolating. This explains why the farmer was able to stretch the irrigation frequency from every fourth day to every 12th day when the field is treated with TerraPro. TerraPro and Protein Crumblies Really Work! 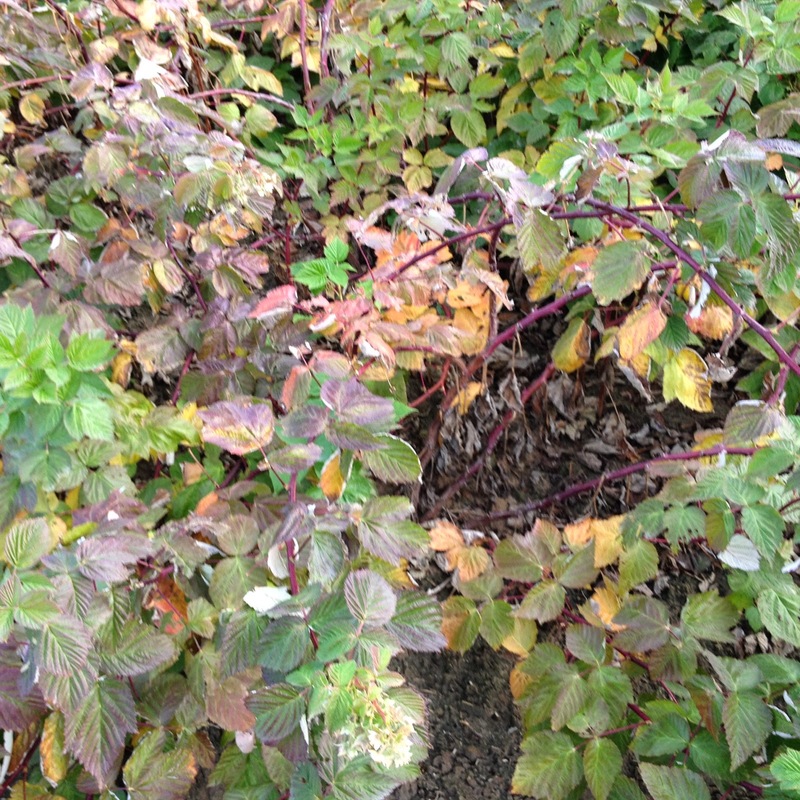 “Two years ago my soil was poor and it showed in my vegetable's leaf color. After using Soil Secrets for 2 seasons my soil now looks like a moist chocolate cake. As for my vegetables; I just returned from the country fair where having made 12 entries I came home with 11 blue and 1 red ribbon. Changing from GMO to Non-GMO Natural Soy, Experiences from Denmark. Follow the link below to read about the experiences of a pig farmer in Denmark when he switched away from GMOs and Roundup that resulted in improved health in his herd. Improved Nutrient Uptake and Water Conservation provided by Soil Secrets TerraPro product. An Albuquerque Metro Soil Ecology company, Soil Secrets LLC has invented the ability to manufacture a bio-identical soil molecular substance that can improve how soil supports vegetation. Improving the crop or landscape plant material improve its ability to get water out of the soil. Improve the soils ability to store water for longer periods of time. Improve the drought tolerable limited of any landscape or crop. And last but not least improve the vegetation's ability to get mineral nutrition out of the soil. With the Western States drought impacting both agriculture and urban landscaping, this material can be a game changer in how we manage what we do on farms, in our personal yards and with large public sector landscapes such as parks and sports fields. It’s all about fixing, the Bio Geo Chemical processes of the soil’s ecology using bio mimicry so that the soils natural biochemistry and terrestrial biosphere of microbiology are working properly. Using the brute force of adding bulk organic matter such as compost and animal manures will not achieve this goal as easily, effectively or as affordably as TerraPro’s bio-mimicry by Soil Secrets. TerraPro is cost effective, easy to apply and provides long lasting sustainable benefits! First it must be understood that the structure of the soil is of critical importance and when soil lacks a good macro aggregate structure it’s difficult to expect or achieve healthy roots of a plant, or healthy soil microbiology. Both need drainage, oxygen and porous soil to grow in. Also the macro aggregate soil can hold more water than a soil that is collapsed. What achieves this process of causing soil particles to aggregate is complicated and involves molecular biology with some Quantum Physics provided by the powerful organic matrix of carbon rich molecules that Soil Secrets calls “Supramolecular Humic Molecules” which are the active ingredients of TerraPro. Some may refer to these molecular substances as humic substances or humic acids, but those terms are too generic and don’t describe accurately the whole story. Soil Secrets secured Commercial Proprietary Information Contracts with several laboratory facilities, both public and private, including Los Alamos and Sandia National Laboratories, to provide Deliverable information down to a sub atomic level on who these molecules are, how do they work and the success of formulating them as part of a manufacturing process so that they can be provided in huge quantities by Soil Secrets. Here are some photos demonstrating just a few of the hundreds of benefits that TerraPro can provide a soil, a farm, or an urban landscape. 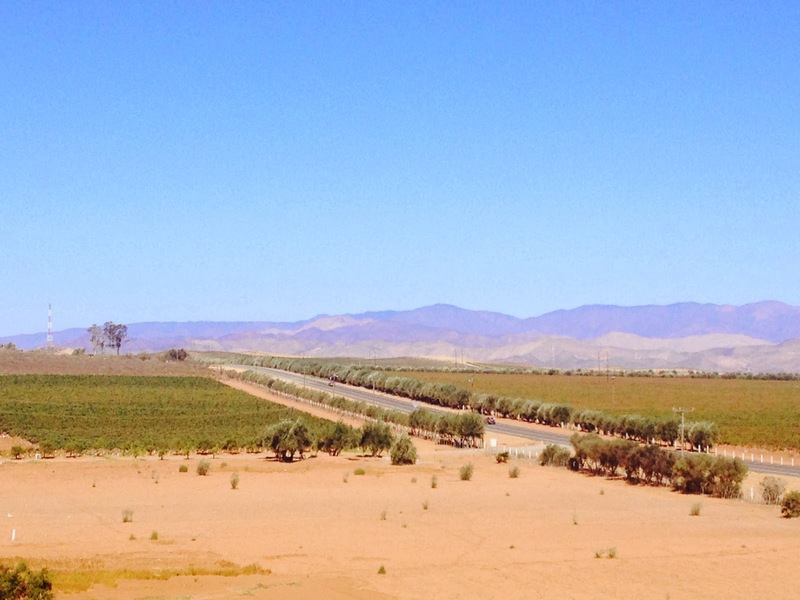 The vineyard photos were taken at the San Vicente Ranch in Baja, Mexico in late August of 2014. 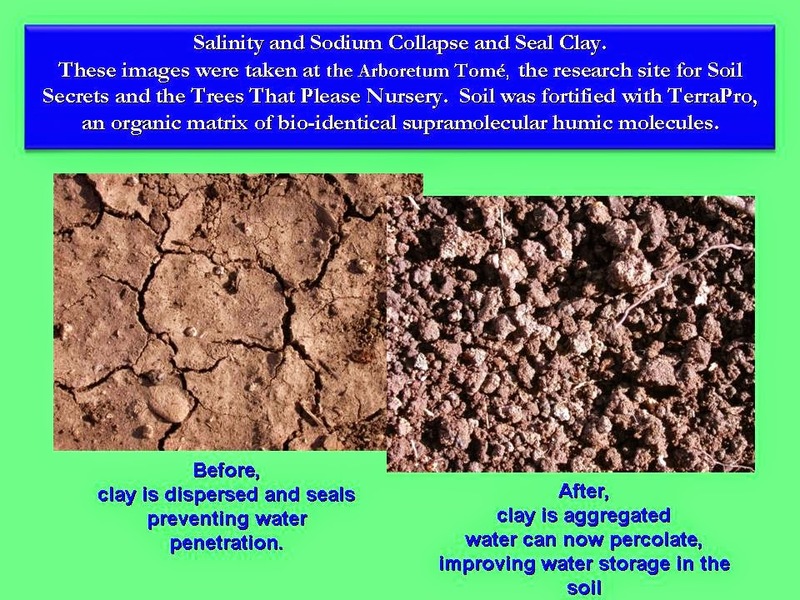 This first image below shows how TerraPro's Supramolecular Humic Molecules corrected the structure of the clay soil at our research site in Los Lunas New Mexico, where the soil was a highly alkaline collapsed saline and sodic clay soil. This is a common problem in irrigated agricultural regions of the world, where salts from the water and from fertilizers have collapsed the soil structure! 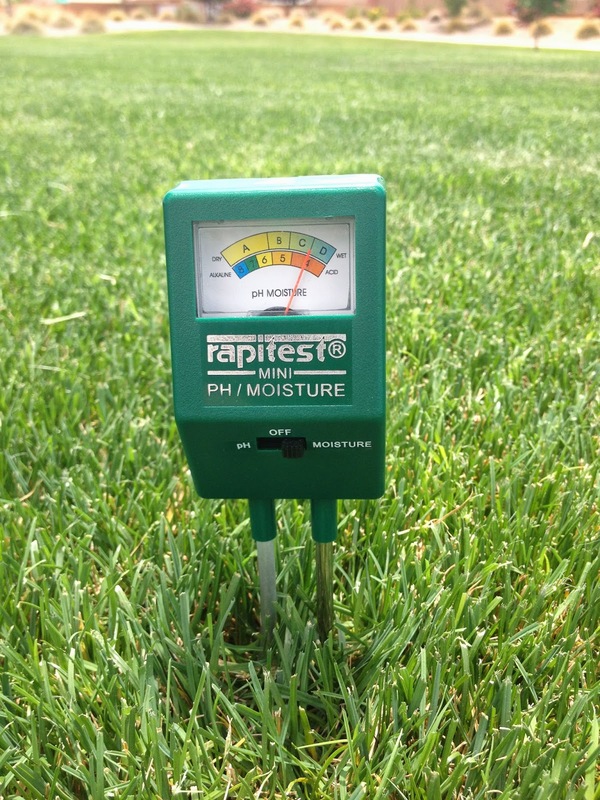 This is significant because when soil has poor structure it also is more prone to disease pressure. It will also not absorb water or air, inhibiting good health of plant roots. With poor soil structure of clay, water will sit on the surface until its lost to evaporation. In the meantime it also seals off the soil from oxygen which contraindicates healthy root function of most plants. It also decreases the amount of water the soil can store and keep available to the vegetation. On a global scale we must remember that over 40 percent of the worlds agriculture is performed where the climate is dry and irrigation is required, and the soil’s health is at risk because of conventional agriculture practices. In which case we need to be able to maximize every drop of water. 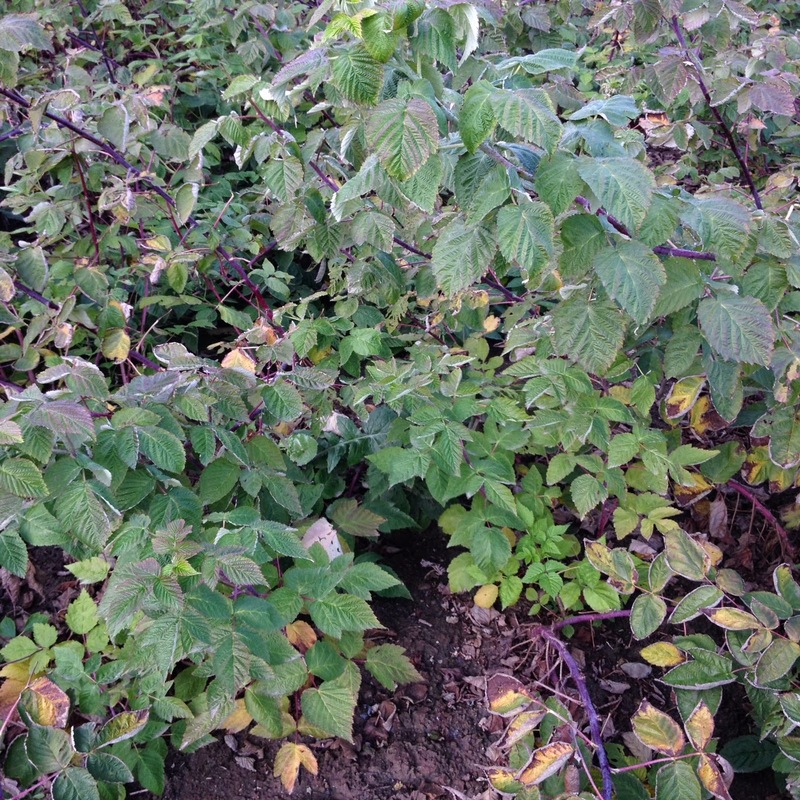 The photo above shows a control field on the left that was not treated with TerraPro’s supramolecular humic molecules. 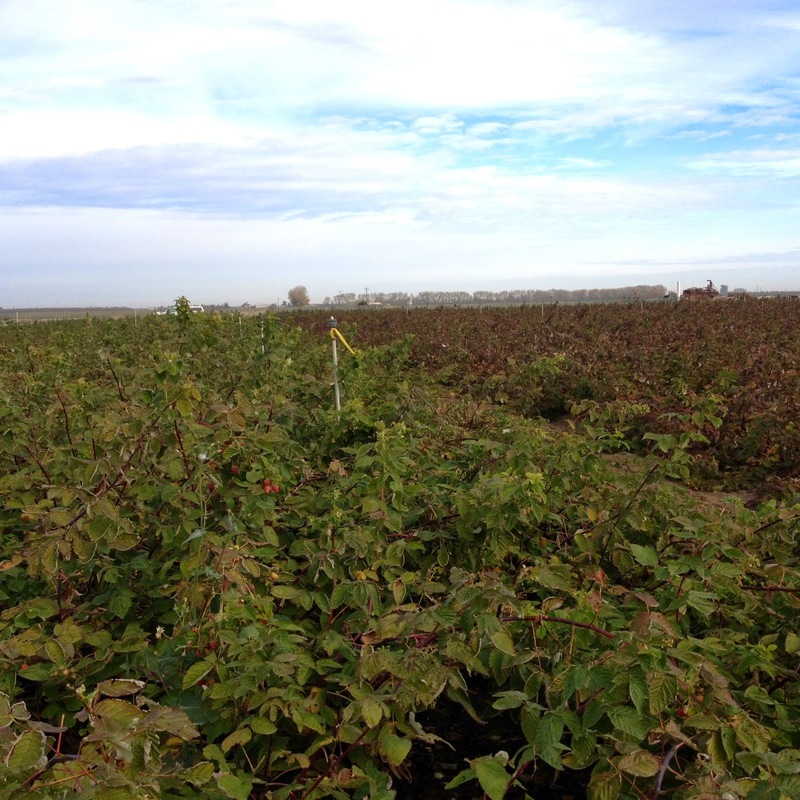 On the right is a line of vines that were treated, showing vigorous growth. 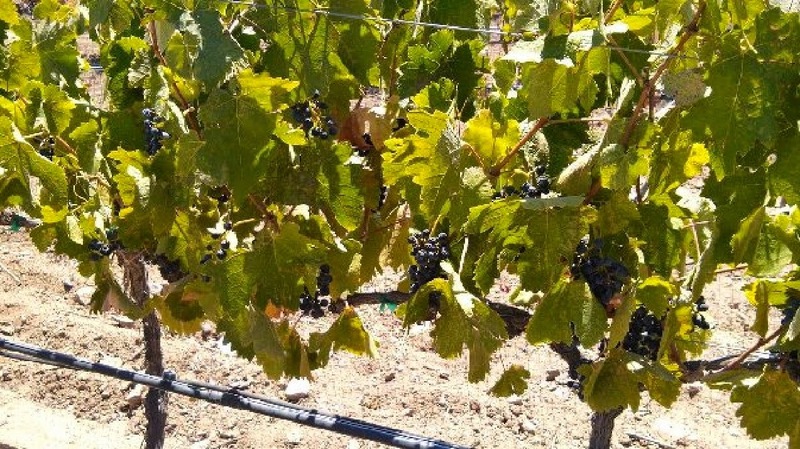 In addition, the treated vines only need watering every 12th day, while the control still requires watering every 4th day or else they come stressed. 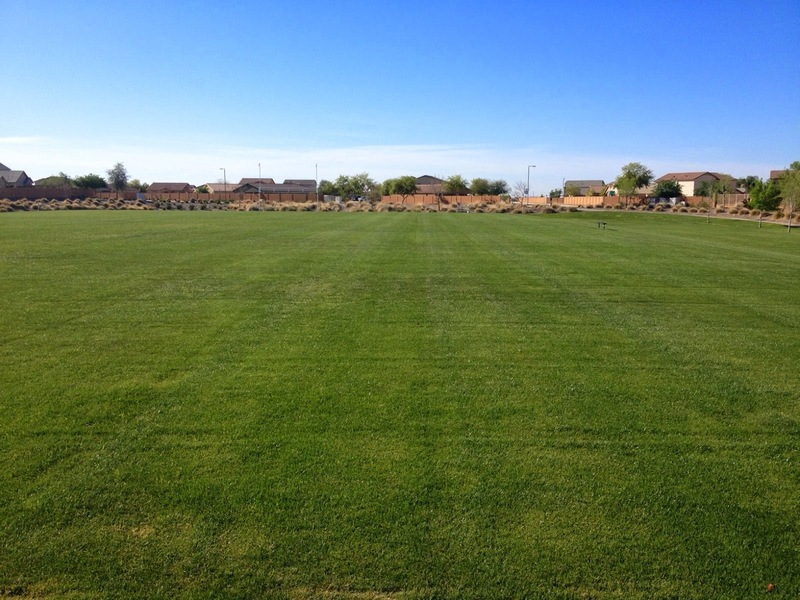 This photo above was taken of a field that was treated in Spring of 2014 with TerraPro. Harvesting for making the grapes into wine is underway and the grower and wine maker are extremely happy with the results. Compare the abundance and size of the grape clusters as well as the color of the leaves on the control (non treated) vines above to those in the image below. 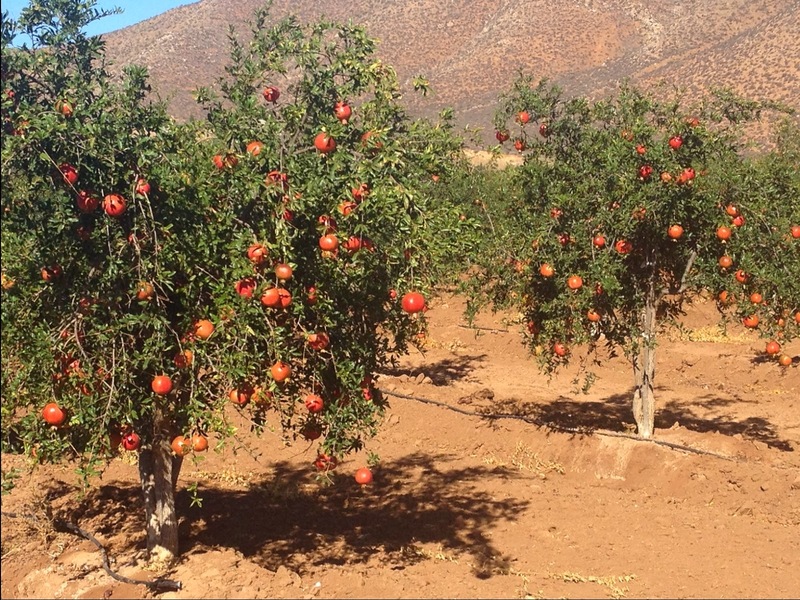 TerraPro Helps with Sugar Content and Water Conservation on Pomegranate Orchard in Mexico! 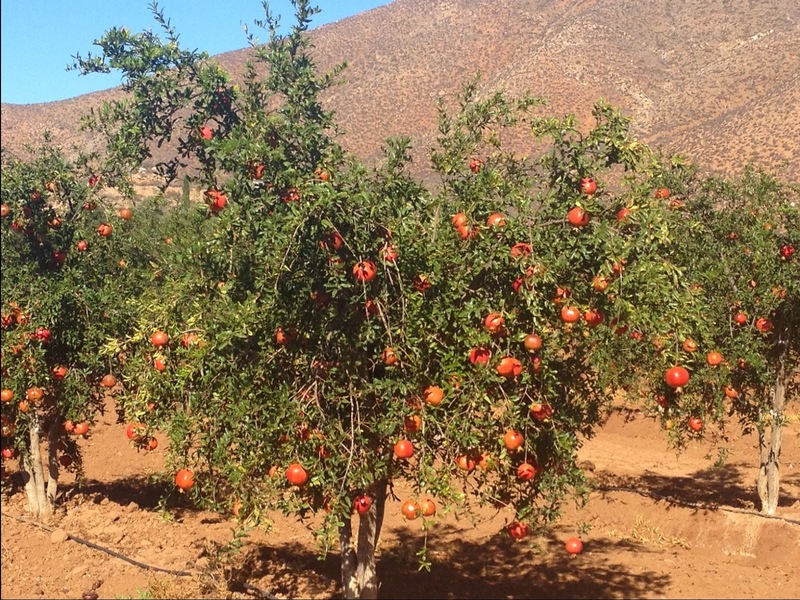 TerraPro has helped with sugar content and water conservation on a Baja Mexico Pomegranate farm. 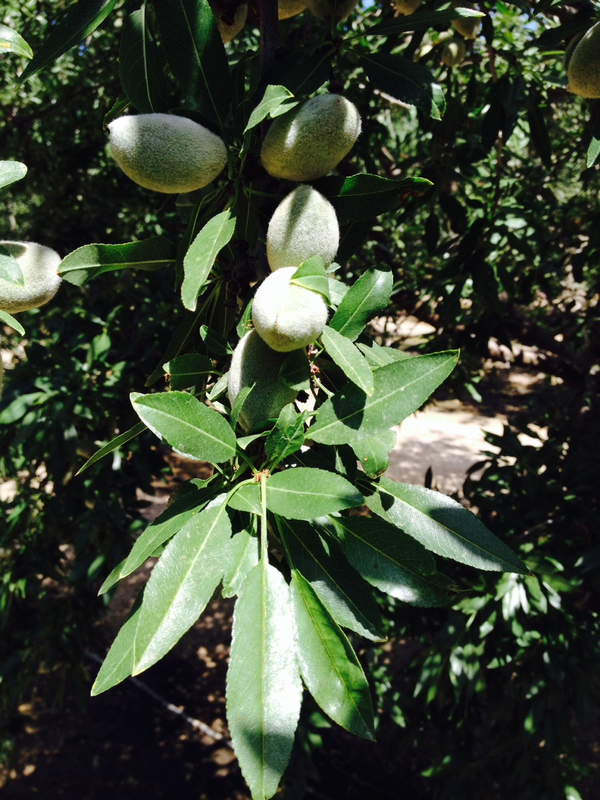 Here are a couple of photos of the Pomegranates s on the San Vicente Ranch. and they are watering every two weeks instead of once per week. Very happy farm engineer. They pick usually Pomegranates at 18 Brix. 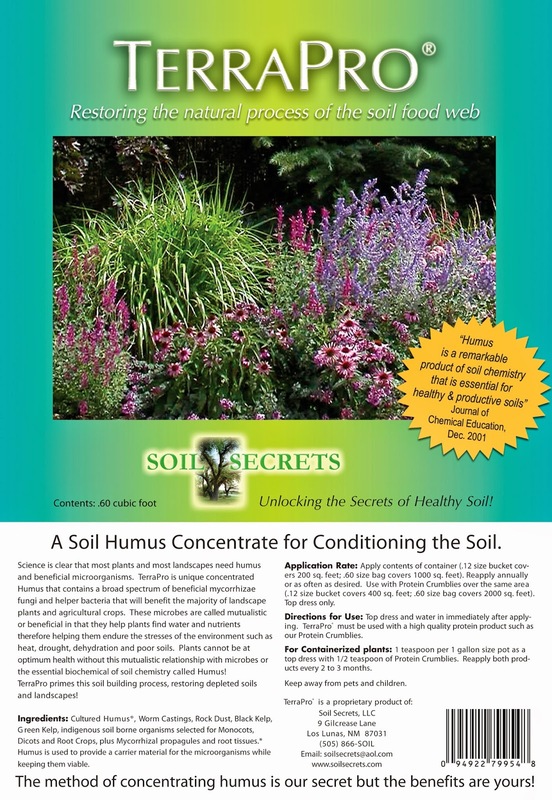 What is Soil Secrets All About? improve and support a healthy soil ecology. Control vines on the left, TerraPro treated vines on the right. 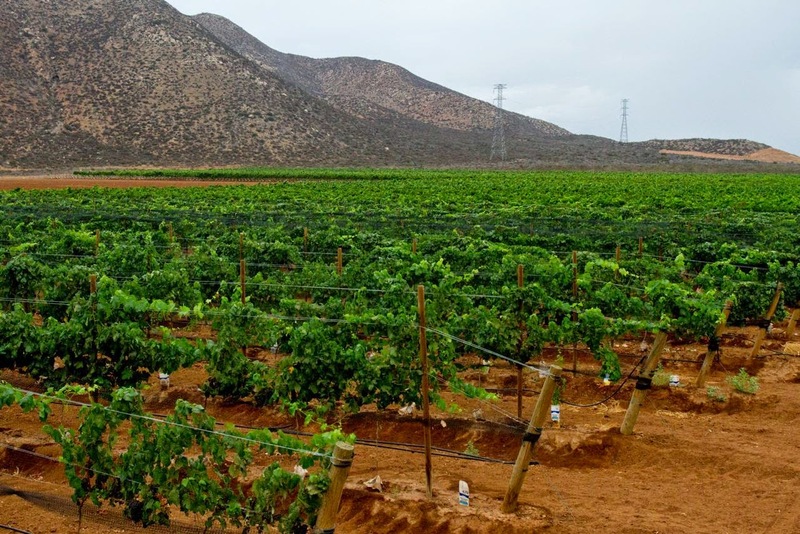 Water savings on treated vines is the farmer was able to reduce irrigation frequency to every 12 days compared to every 4 days on control vines. Site is in Baja Mexico. Follow us on the Journey to Better Soil Health! 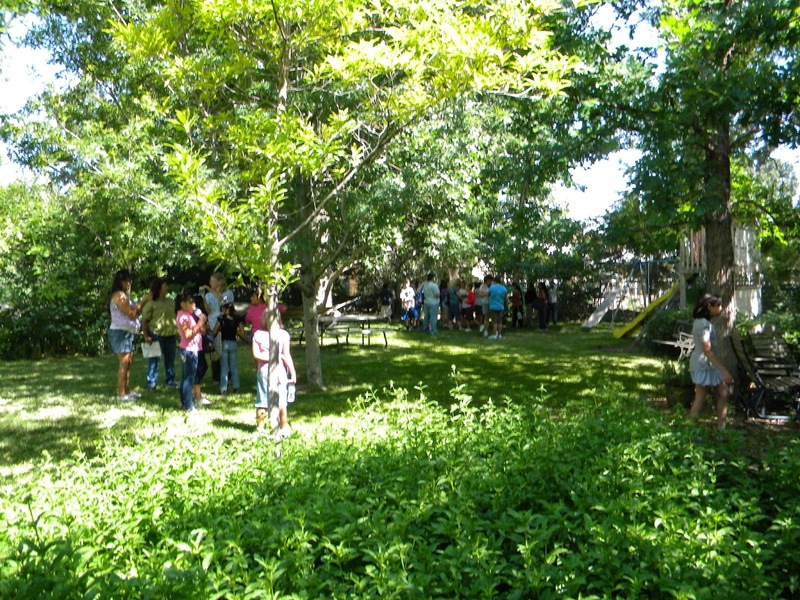 Enjoy this video filmed during our Annual Arboretum Tomé Open House this year in Los Lunas, NM. Listen to invited speakers Rudy Garcia and Clarence Chavez from the USDA NRCS office. 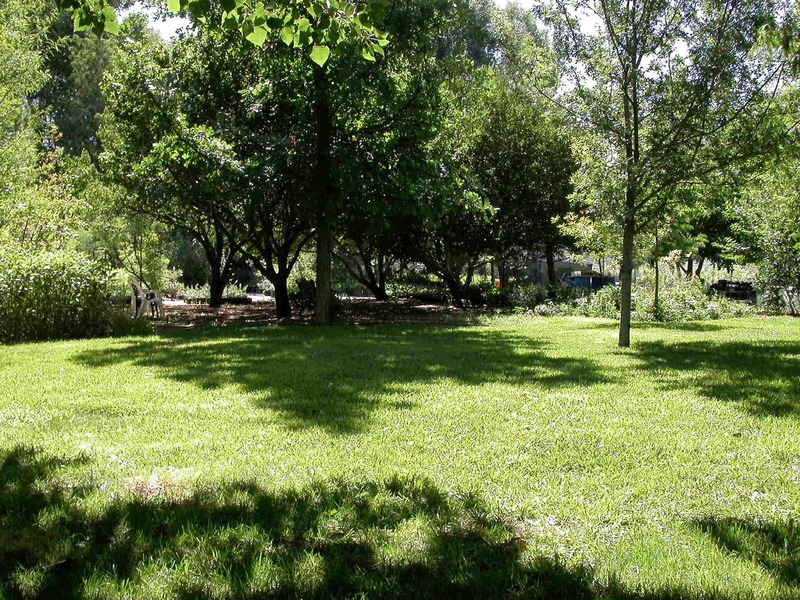 The Arboretum Tomé in Los Lunas, New Mexico shows that growing healthy trees and plants is possible with the help of soil experts. 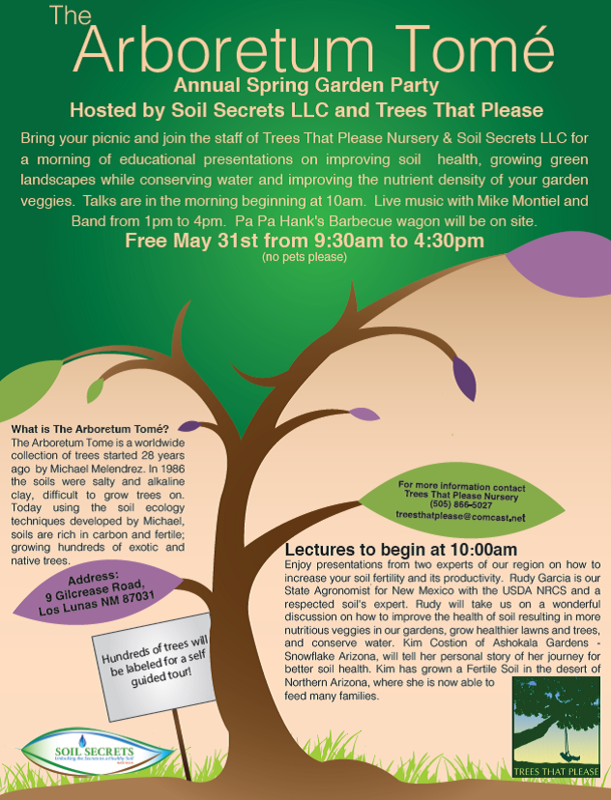 Understanding the type of soil you have, and how to work to improve it, is the subject of the talks by two of New Mexico's soil experts. An important video to watch if you want to understand soil and how to heal or fix it, so you can grow healthy trees, plants, flowers, and healthy vegetables in your garden. The images below were taken by Soil Secrets Dealer David Hilton near Modesto California. 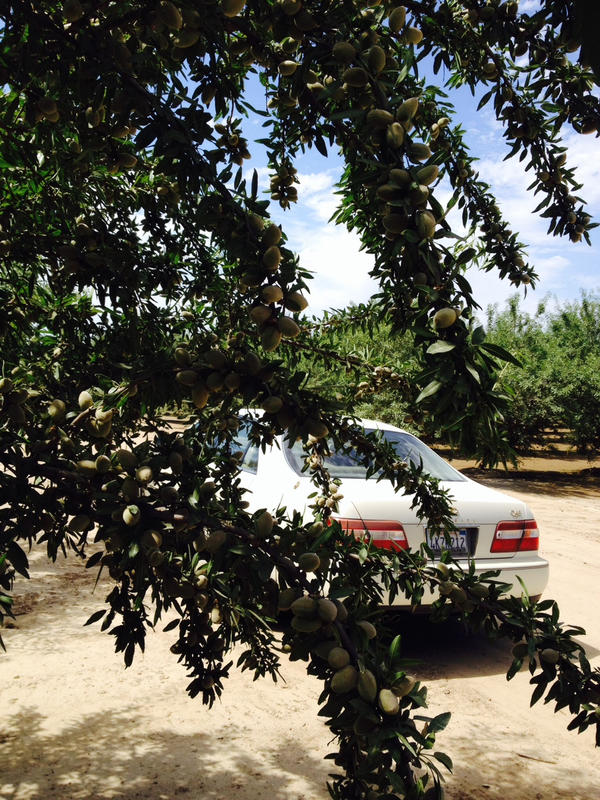 The site is Aaron's Cook Ranch, a significant almond producer in the State of California. 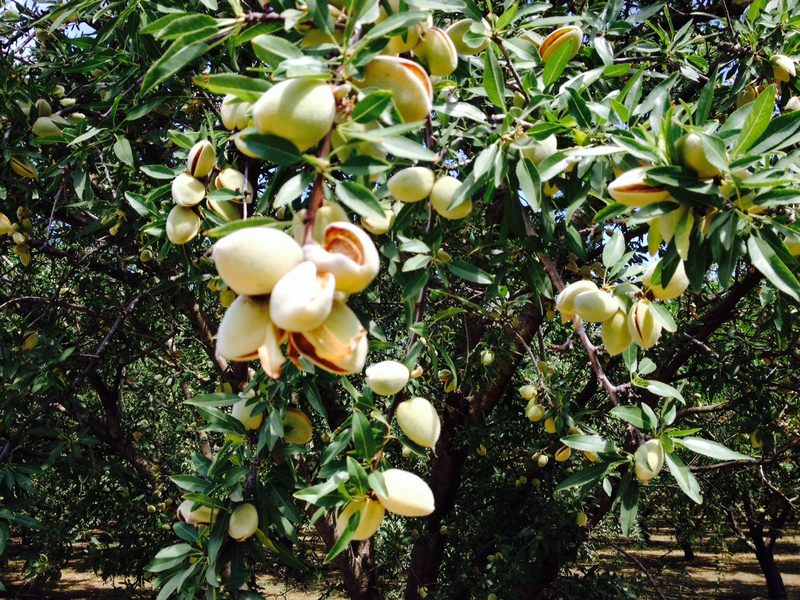 In recent years the Almond production industry has been impacted by increasing salinity of the soil, caused by drought and poor quality irrigation pumped ground water. Summer of 2013 was particularly destructive to the crop, with many farmers losing trees and even removing orchards that are failing. The Cook Ranch treated 20 acres using 600 pounds of TerraPro per acre banded 4 to 6 inches wide on top of the drip irrigation line. TerraPro is a soil conditioner containing as an active ingredient a novel bio-organic matrix of supramolecular humic molecules. 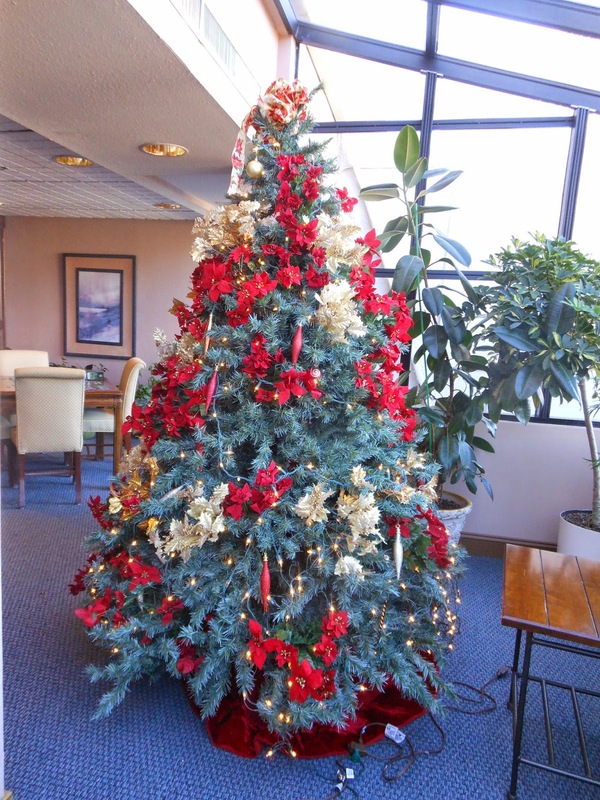 The trees were also foliar sprayed with an AGGRAND organic nutrient product to provide essential nutrition while also avoiding adding additional salinity via a standard fertilizer. I'll write another blog on the protocol used with the AGGRAND nutrition program on this trial. and not prematurely crack open. into the soil of the control and the treated fields. 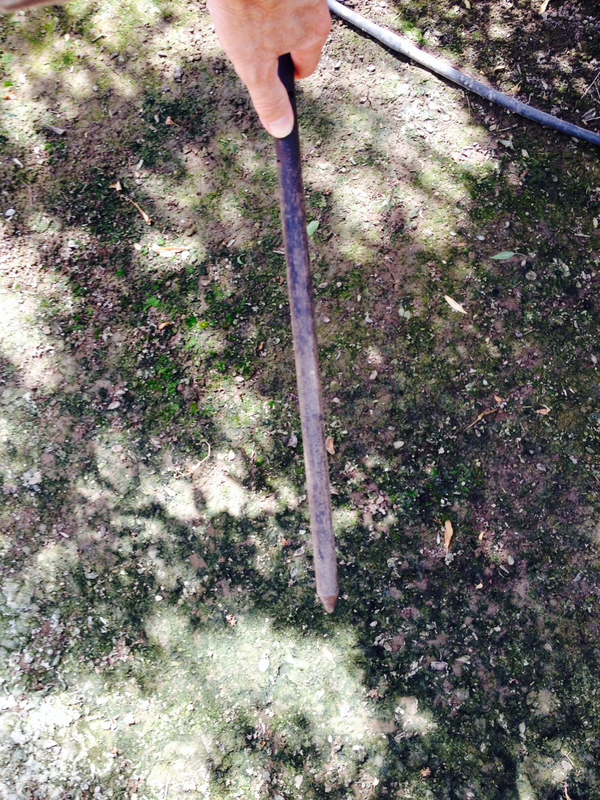 In the control fields he could not penetrate the soil with the stake, but in the treated field the soil had grown mellow and soft where he was able to push the stake in 18 inches. Below is he written report to Bob Geyer and John Miller, Soil Secrets Associates provided by David Hilton on the progress of this trial. 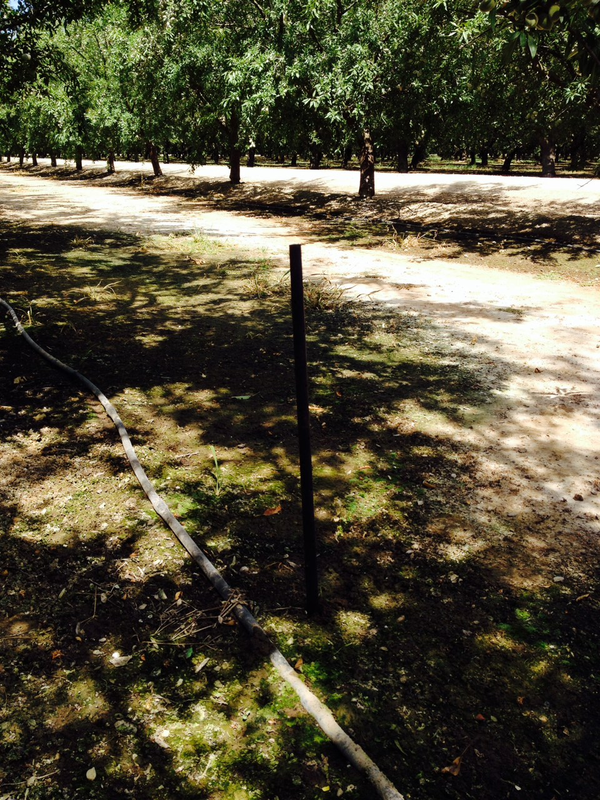 "I went last week to Aaron's cook ranch, I took a 30'' round foundation stake and with one push it went 18 inches into the soil that was treated with Soil Secrets TerraPro product, the almonds looked great, no salt damage on any leafs and the new wood is doing I think awesome."